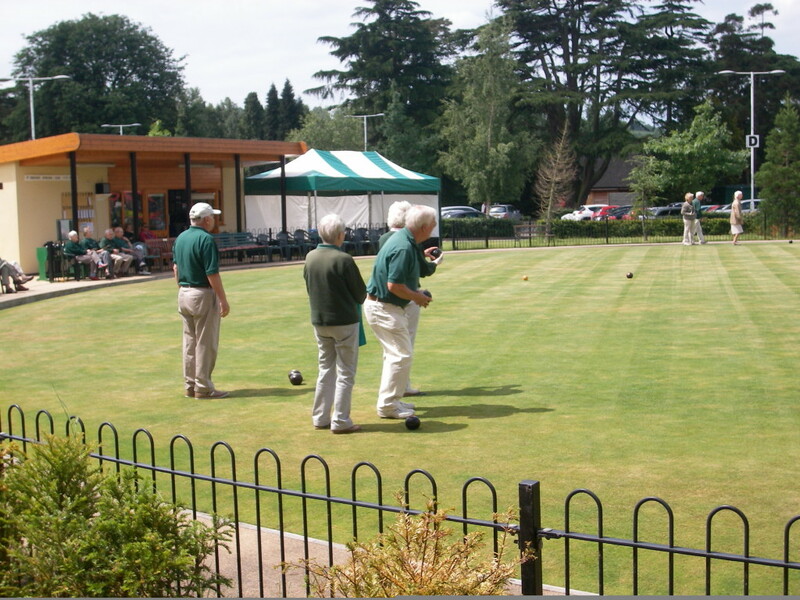 The aim of the club is to pursue the pastime of Crown Green Bowls within a friendly, sociable atmosphere. We provide a community activity in a magnificent setting. We are situated in the magnificent, award winning, Trentham Estate which passed from the Duke of Sutherlands estate in the early 1980’s. This is award winning gardens and lake, totalling 770 acres, and were created by Capability Brown and Charles Barry. The present owners have introduced a number of activities to enhance those already here. They include a shopping village, garden centre, monkey forest, reinstated formal gardens, hotel and lake and have made it a popular tourist attraction. This has been the largest garden development in Europe and work is still ongoing. Part of the project has necessitated the relocation of the Bowling Club to a new green and Pavilion four years ago, after spending a couple of years on a temporary green. Our green is circular, which is by no means unique, but is certainly unusual. We are well supported with a full membership and sometimes need to operate a waiting list. It is a very friendly and active club where harmony, enjoyment of the game and companionship are placed above intense competitive endeavour. We do not compete in any leagues but play friendlies with eight other local clubs, on a home and away basis together with a varied range of internal competitions throughout the season.